Lionel Richie reportedly owes over $1,1 million in unpaid tax. The soul singer, who resides in Los Angeles, has been hit with a lien – an official claim against his property – for the payment of his debt which totals $1,130,609 – according to TMZ.com. The musician has racked up a huge number of hits over the years, including Hello, Dancing On The Ceiling and Easy Like Sunday Morning, and according to legal documents he is worth a reputed 200 million dollars. If Lionel (who recently released a duets album, Tuskegee, featuring new versions of his greatest hits) fails to pay the bill then the American government could repossess his property to clear the debt. The 62-year-old star (the father of Nicole Richie) will next appear alongside Kelly Clarkson, Jennifer Nettles and Robin Thicke as judges on new TV show Duets. His representative is yet to comment on the claims. 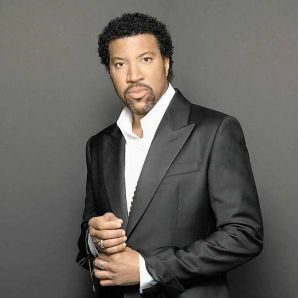 Lionel Richie is the new top veteran on Billboard Top 200 Albums as Tuskegee only drops from 2 to 4. Meanwhile, Madonna sets a new record for the biggest sale drop for a number 1 album since the beginning of the Soundscan Era (1991) forcing MDNA from 1 to 8. Doctor John has his best showing on the chart in 39 years with Locked Up which debuts at number 33. The last time the New Orleans legend was that high on the charts was in 1973 when In the Right Place made it to 24. Also opening big is Jethro Tull’s Ian Anderson whose TAAB2: Thick as a Brick 2 premiers at 55. Neither Tull or Anderson as a solo act has been that high on the album charts in 25 years, since Crest of a Knave hit 32 in 1987. As we already reported earlier in the week, Madonna has scored her record 42nd number 1 on the Dance Club/Play chart with Girl Gone Wild. It was just two weeks ago that she had her 41st with Give Me All Your Luvin’. Finally, we’re introducing a new feature in our weekly review of veteran artist performance on the American charts, the Veteran Artist Index. Each week we will be analyzing the veterans on the Top 200 Albums and assigning each album points based on their position, 200 for number 1 to 1 for number 200. The total will be the index number for the week. Tonight (April 13) at 9:00 PM ET, CBS will air the “ACM Presents Lionel Richie and Friends” concert that was filmed in Las Vegas earlier this month. In addition to several country stars featured on the music legend’s chart-topping new album, Tuskegee, plus several more who just may lend their voices to Volume 2, you’ll also see several members of Lionel’s family on the show. Fashion designer daughter Nicole Richie takes the stage to introduce her dad and also joins him at the piano for a song. And the cameras will surely pan to Lionel’s son Miles and youngest daughter Sofia, who sat in the front row for the concert taping. Dressed in all black with his signature cross around his neck, Lionel looks dapper and a lot younger than his 62 years on the TV special. That may just be thanks to Nicole, Miles and Sofia. “My kids have taught me that I’ll never master ‘hip’ in my whole life” – the singer-songwriter tells The Boot with a laugh. “Your kids can say some cruel things to you at times. For example, Nicole, Miles and Sofie are standing there in the room and I’m dressed to kill in my own mind. They’ll say to me: ‘Dad, you’re not going out there looking like that are you?’ If that doesn’t kill a star, I don’t know what does! This entry was posted on Saturday, April 14th, 2012 at 4:59 am	and is filed under Celebrities. You can follow any responses to this entry through the RSS 2.0 feed. You can skip to the end and leave a response. Pinging is currently not allowed. Nicole Richie is beatiful! She’s cool.